The Korean Peninsula is experiencing a new period of high tensions, with both sides exchanging harsh rhetoric and promising retribution for any provocations. However, the roots of this conflict date back to the end of World War II in 1945. Up until 1945 Korea remained under Japanese colonial rule but after Japan surrendered to the Allied Powers, the land was divided along the 38th parallel, with American forces staying to the to the south of the demarcation line and Soviet troops to the north. In 1948, two states were established on the peninsula: the Republic of Korea (South Korea) and the Democratic People’s Republic of Korea (North Korea). As a result of political and military contradictions the Korean War was sparked on June 25, 1950. South Korea was getting military aid from the US and 15 other states, while the DPRK was backed by China and the USSR. On July 27, 1953 the conflicting sides signed a ceasefire agreement. A peace treaty agreement however has never been signed, so formally they have been in a state of war ever since. The 60s were marked by repeated attacks and armed provocations by both states, which led to the deaths of hundreds of Koreans. Tensions were also stoked between Pyongyang and Washington in 1968 when an intelligence ship, USS Pueblo, was seized by North Korean gunboats. In 1969 North Korea shot down a US reconnaissance plane killing 31 Americans. In the following decades, the North and South Koreas took steps to ease tensions. Following secret negotiations on July 4, 1972, the North and South even settled basic principles for reunification without interference from foreign powers. The 1980s were a period of relative calm which was punctuated by two notorious incidents purportedly carried out by North Korean agents. In 1983, three senior South Korean politicians and 18 others were killed in Rangoon, Burma, in a bomb attack targeting Chun Doo-hwan, the fifth President of South Korea. One of the captured bombers confessed to being a North Korean military officer. In 1987, a bomb detonated mid-air on a Korean Air flight from Baghdad to Seoul killing all 115 on board. The bombing, blamed on North Korea placed the country on the US list of Designated State Sponsors of Terrorism until 2008. Although the incidents deeply strained relations between the two states, in September 1990 the first high-level talks were held in Seoul, and in December 1991 North and South Korea signed the Agreement on Reconciliation, Non- aggression, Exchange and Cooperation. Also in 1991, both states joined the United Nations. In 1992, North Korea agreed to allow the International Atomic Energy Agency (IAEA) to inspect sites suspected of potential nuclear weapons development. However, over the next two years access to those sites was subsequently denied. "Dear Leader." North Korea subsequently agreed to freeze its nuclear program in exchange for $5 billion worth of free fuel and two nuclear reactors. 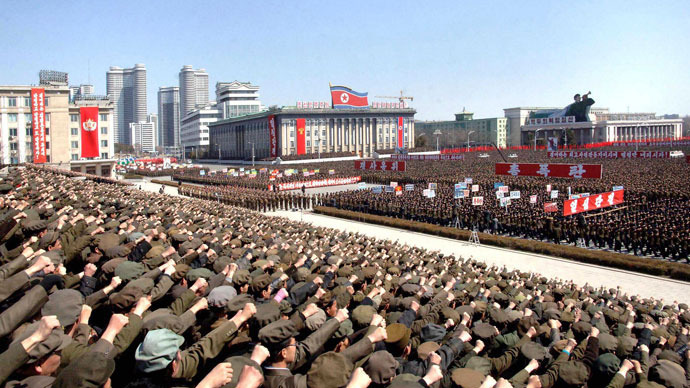 In 1996, during the severe famine that killed up to 3.5 million people according to different estimations, Pyongyang threatened it would scrap the armistice with the South. In 1998, North Korea launched a rocket over Japan, which landed in the Pacific Ocean. 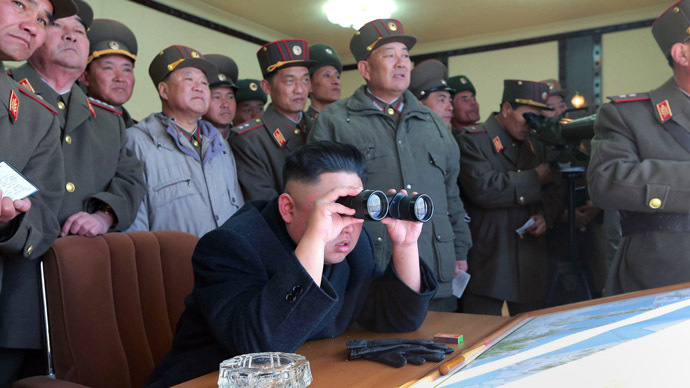 Pyongyang claimed it had successfully put a satellite into orbit. In June 2000, relations took a turn for the better when during the first Inter-Korean Summit Kim Jong-il agreed to stop all propaganda broadcasts against the South. “Axis of Evil.” In June of that year, North and South Korean naval vessels clashed in the Yellow Sea, killing around 30 North and four South Korean sailors. In October the United States stopped oil shipments to DPRK in response to the country's secretive nuclear weapons program. 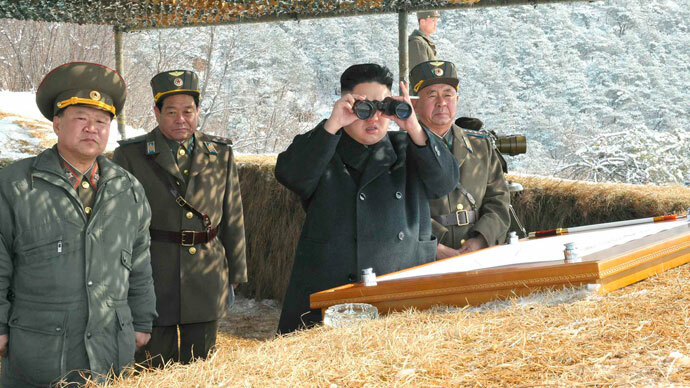 The DPRK responded by kicking out international nuclear inspectors and reactivating its Yongbyon reactor. In January 2003, the DPRK withdrew from the Nuclear Non-Proliferation Treaty (NPT), kicking off the ongoing nuclear crisis. 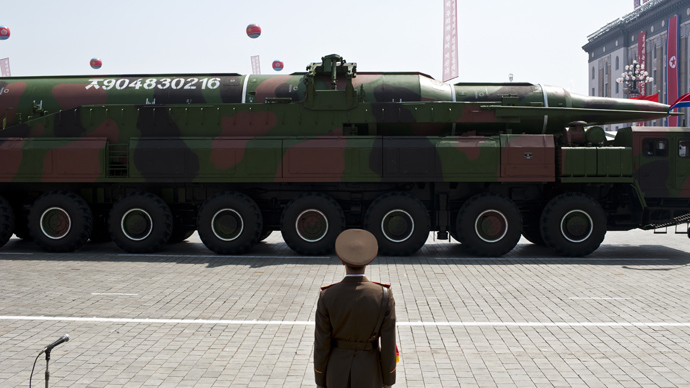 That July, Pyongyang announced it had enough plutonium to start making nuclear bombs. The following month, Six-party talks – South Korea, North Korea, China, the US, Russia and Japan – kicked off in Beijing, though Washington and Pyongyang failed to reach a consensus. The next several years saw a series of failed negotiations, with North Korea claiming to test its first nuclear weapon in October 2006. But the following year, Six-nation talks resumed in Beijing, with North Korea agreeing to close its main nuclear reactor in exchange for fuel aid. Relations with Seoul also somewhat thawed, with the two sides signing a "Declaration on inter-Korean relations, peace and prosperity" during the second Inter-Korean Summit. The presidents of North and South Korea further promised to hold talks to formally end the Korean War. By 2008, relations once again soured between the two sides, and in January 2009 Pyongyang said it would scrap all military and political deals with the South. Despite conciliatory gestures, North Korea’s alleged sinking of a South Korean warship in March 2010 dramatically escalated tensions. In December 2011, Kim Jong-il died and his son Kim Jong-un was named his successor. 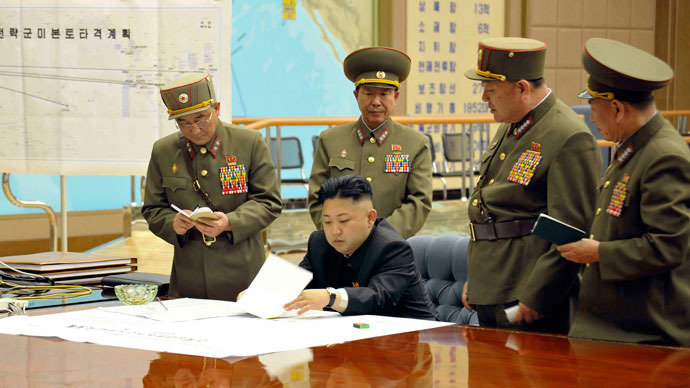 The young North Korean leader quickly consolidated all the power into his hands. To commemorate the 100th anniversary of the birth of Kim Il Sung, in April 2012, Pyongyang launched a long-range ballistic rocket The rocket fell into the sea. “an all-out counter-offensive” in case the country’s territory is violated or even a single shell falls on North Korean soil. A few months later North Korea announced to had developed ballistic missiles capable of reaching the US mainland and then revealed a plan to try again to send a satellite into space. The launch took place on December 12 and prompted further UN sanctions on the North. In January 2013 North Korea announced it was planning a new nuclear test, raising the confrontation with the US to a whole new level. On February 12, North Korea conducted its third nuclear test and warned that further measures would follow if the US continued its “hostility” against the North. The UN subsequently imposed more sanctions on the county. 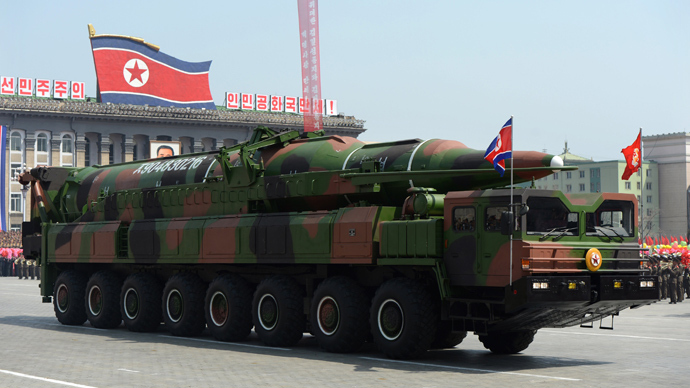 The rhetoric became even harsher in March with threats to launch a pre-emptive nuclear strike against South Korea and the US. The North further threatened to scrap the truce with the South and nullify the joint declaration on denuclearization. On March 29, following a mock bombing of North Korea by a US B-2 stealth bomber during a joint military drills, Pyongyang announced that “the time has come to settle accounts with the US imperialists” and ordered rocket units be put on standby to fire on US bases in the South Pacific. The following day, March 30, North Korea declared it was entering a “state of war” against its Southern neighbor, stating that from now on any issues between the two countries would be resolved in a "wartime manner." The decision by the US to deploy two nuclear-capable B-2 bombers to participate in joint military drills with South Korea prompted Pyongyang to harden its position in its long-term conflict with the United States, North Korea's State News Agency said in a report released on Saturday. 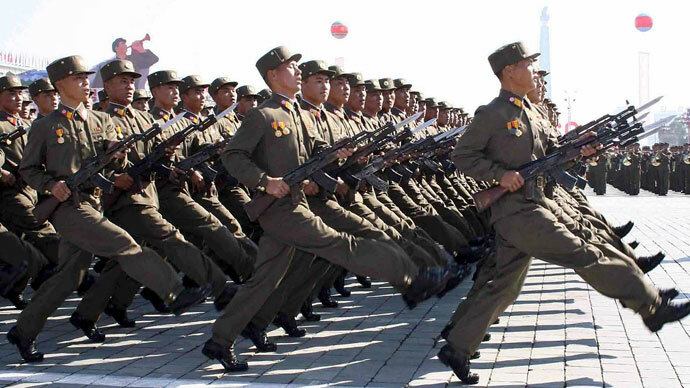 North Korean rocket units are reportedly on standby to fire on US bases in the South Pacific. 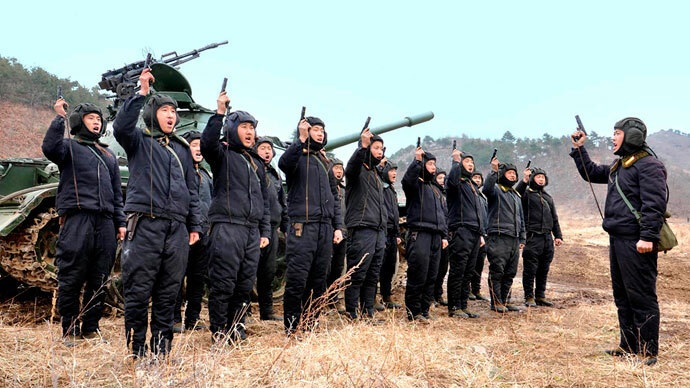 However, in the capital of Pyongyang, life was continuing normally despite the declared state of war, Itar-Tass reported. There was no observable mobilization of military forces in the city, or any changes in troop deployments to foreign embassies. Shops and restaurants remained open, and there were no interruptions to the city’s public transportation system. On April 1 the US upped the ante again by announcing deployment of several F-22 stealth fighter jets to the Korean peninsula. The advanced radar-evading F-22 Raptors were moved from Kadena Air Base in Okinawa to the Osan Air Base, the main US base in South Korea.